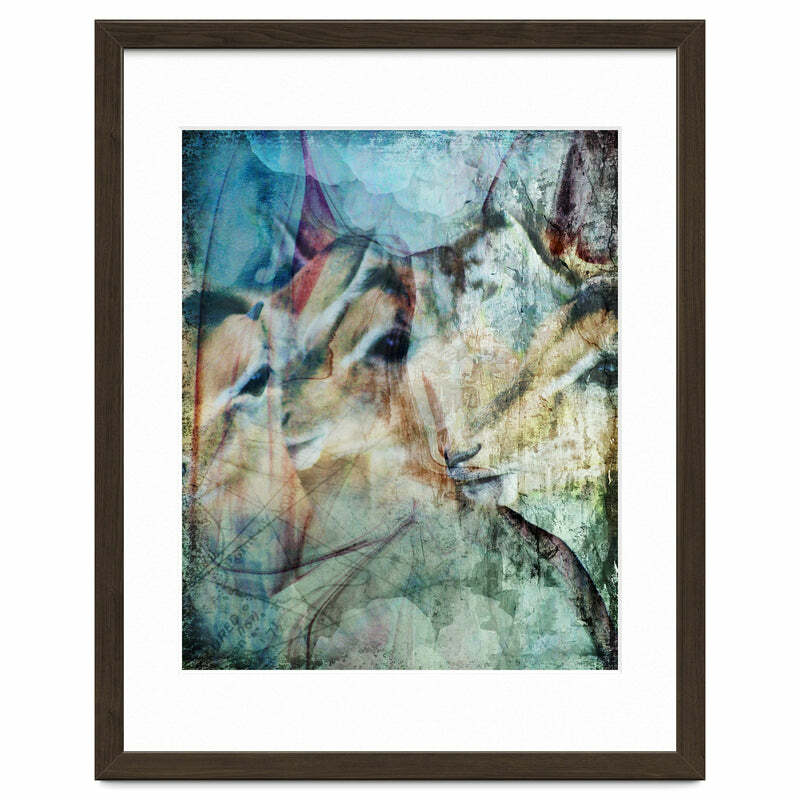 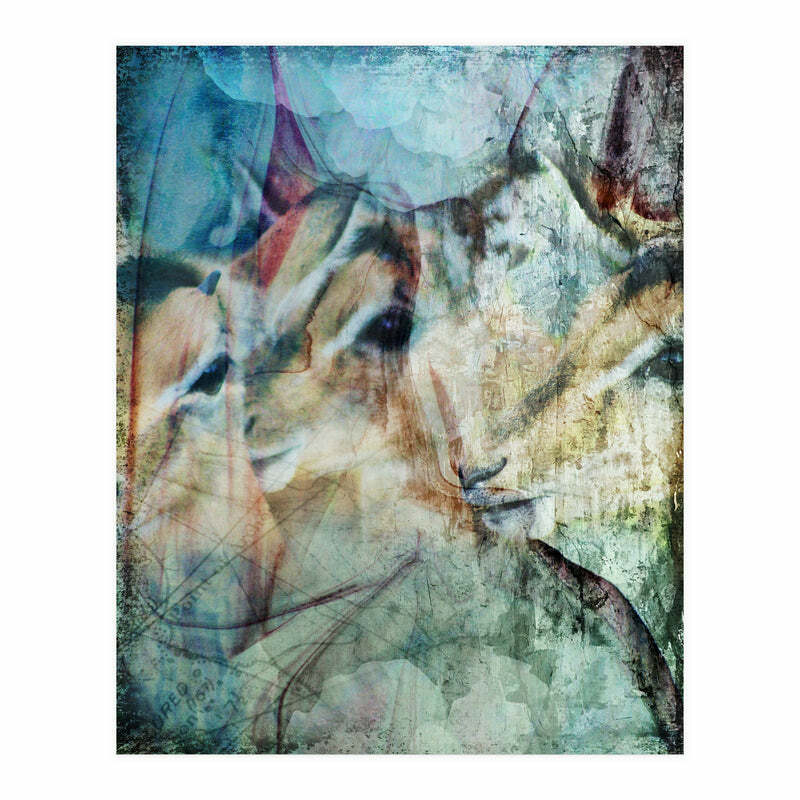 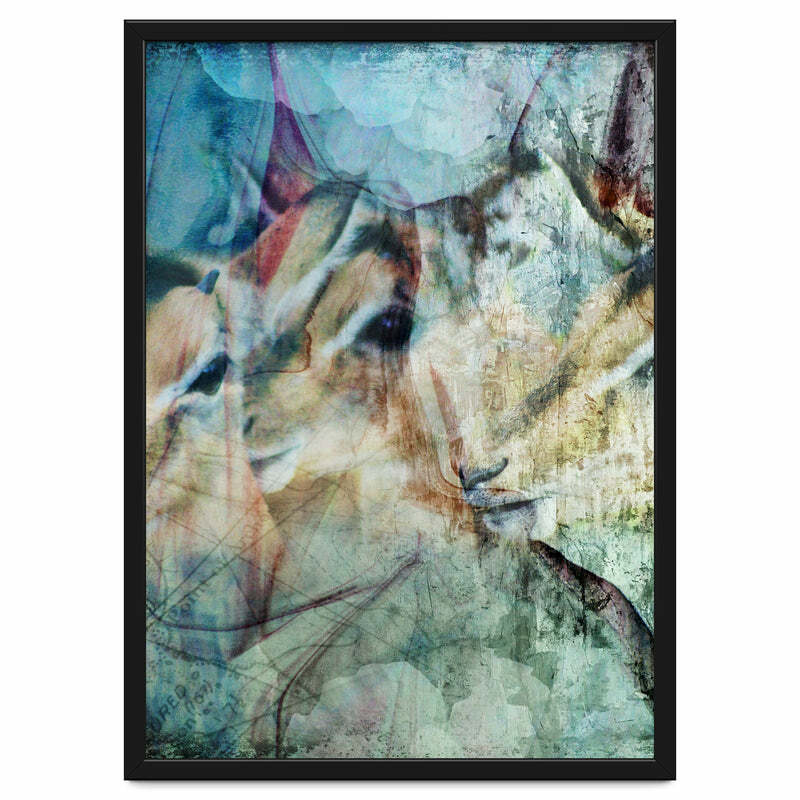 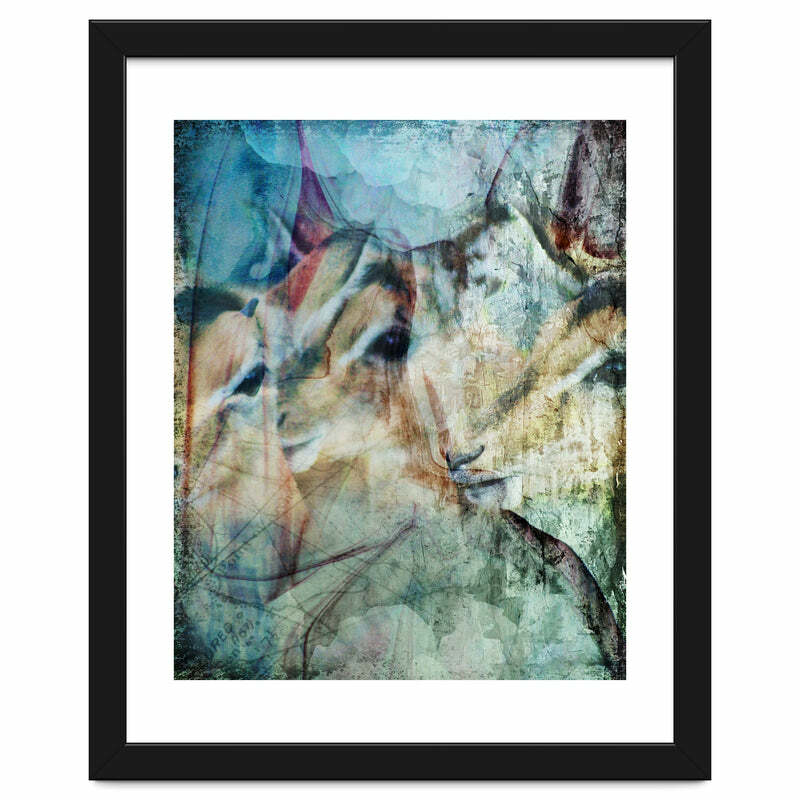 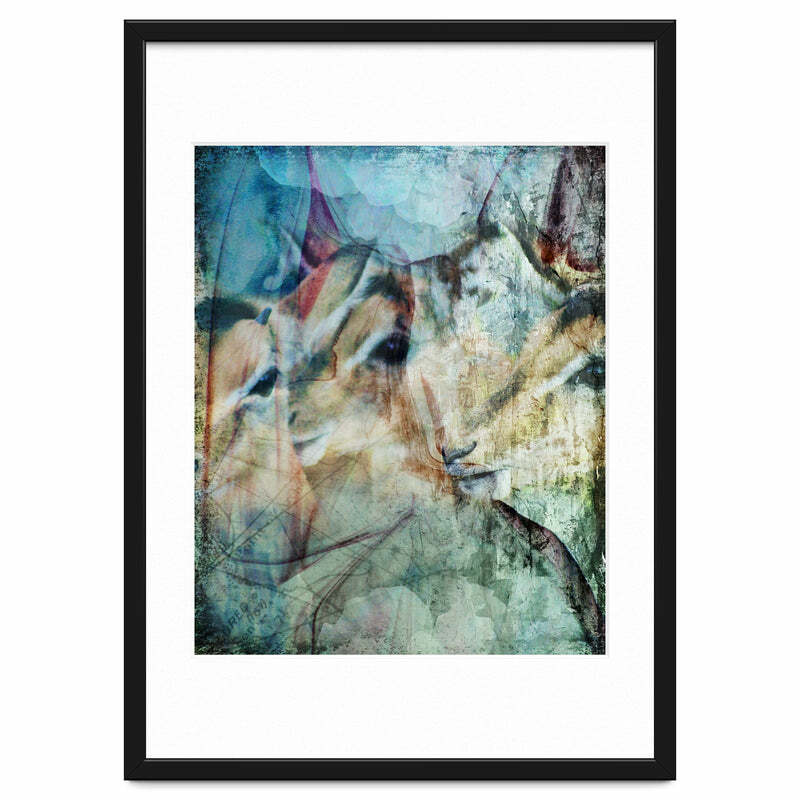 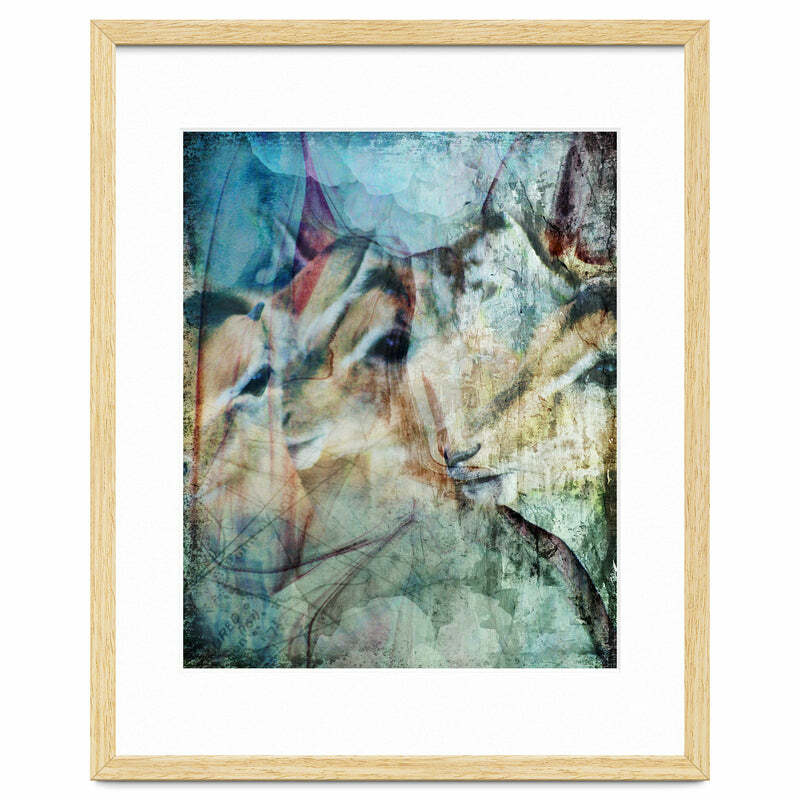 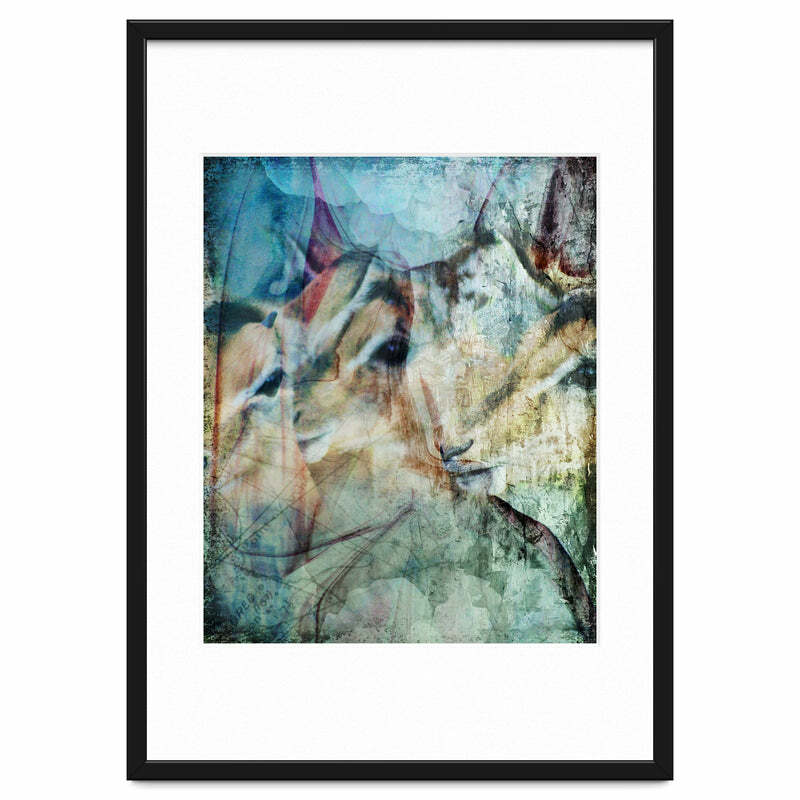 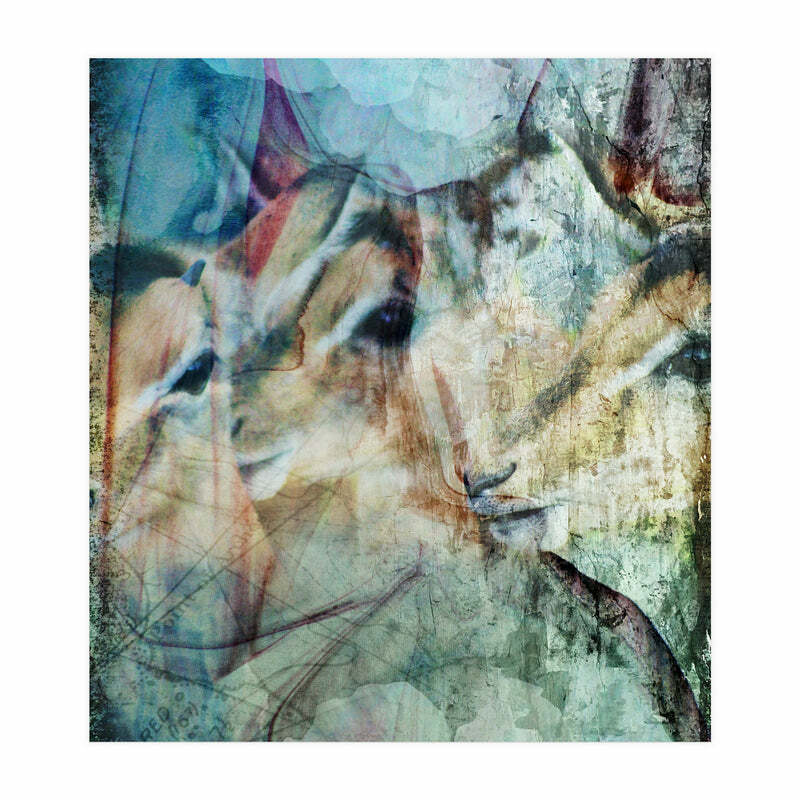 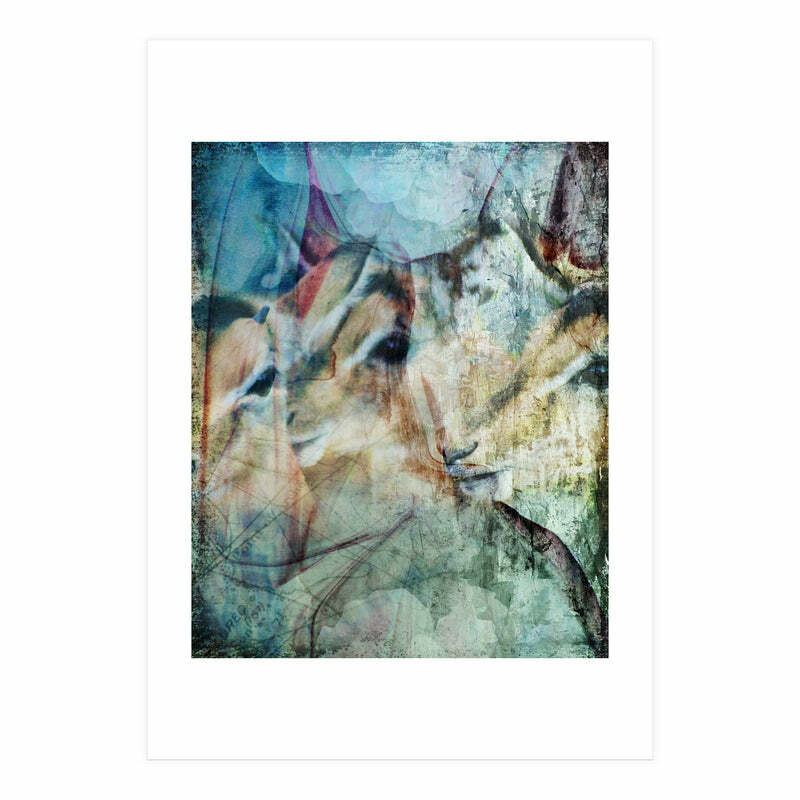 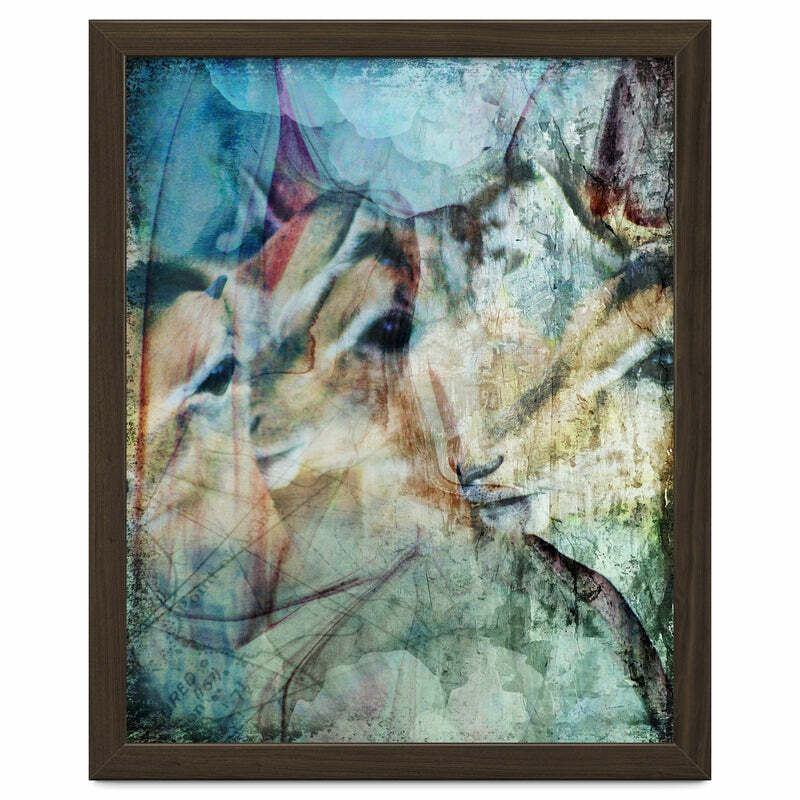 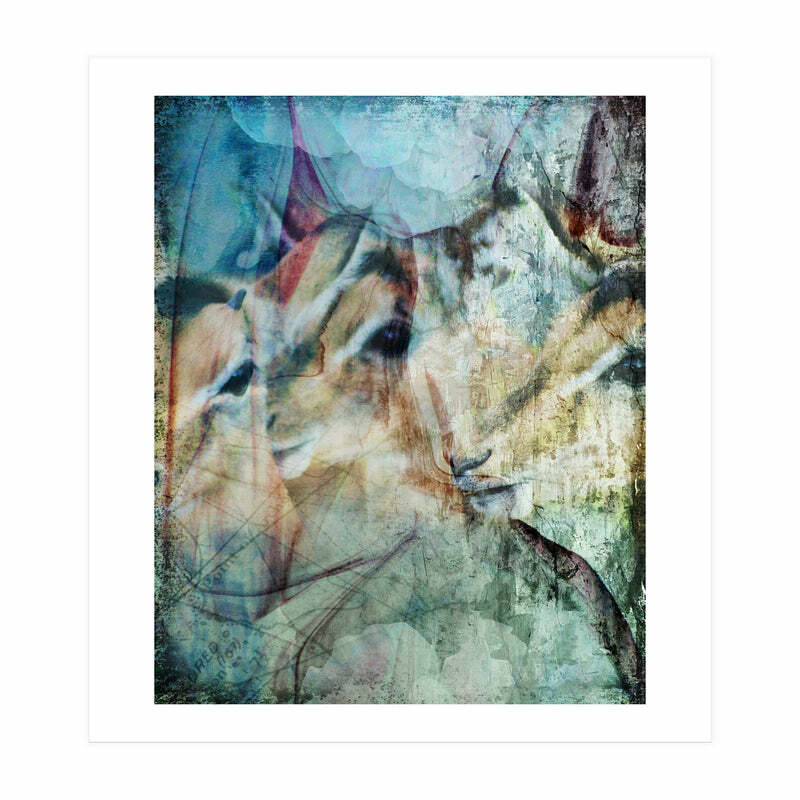 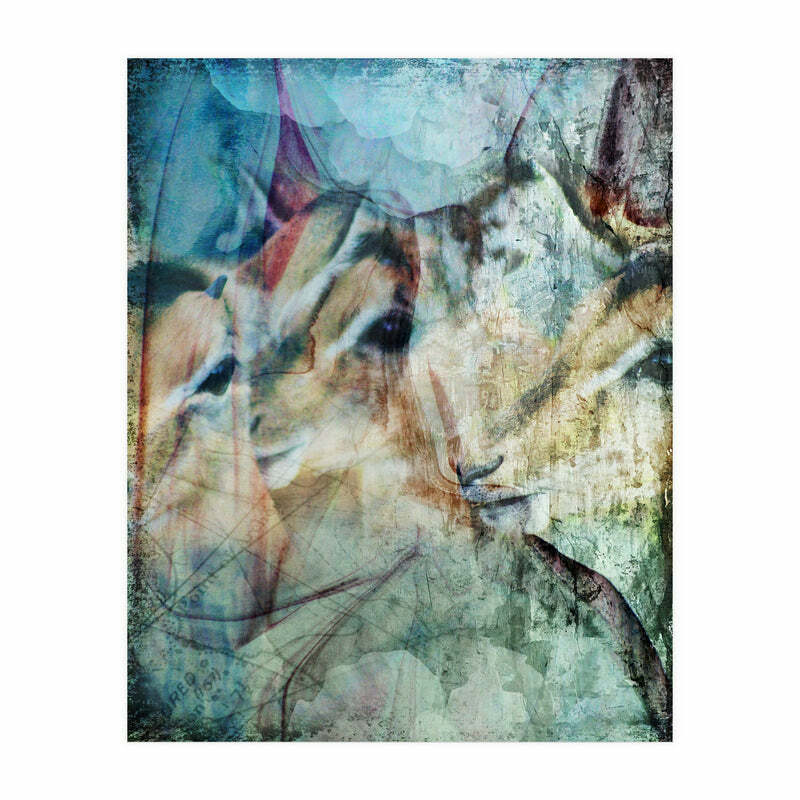 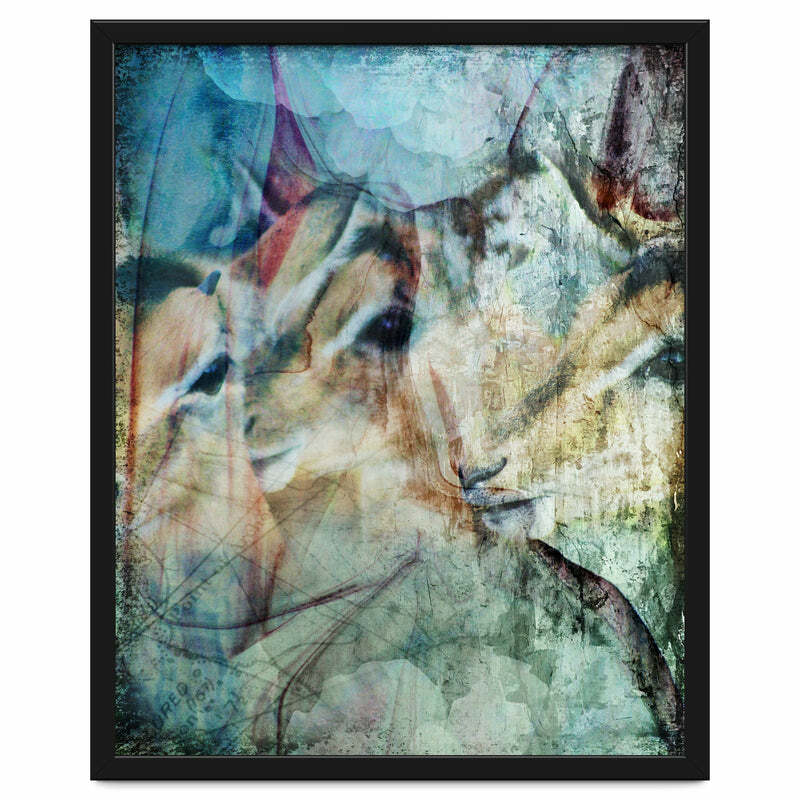 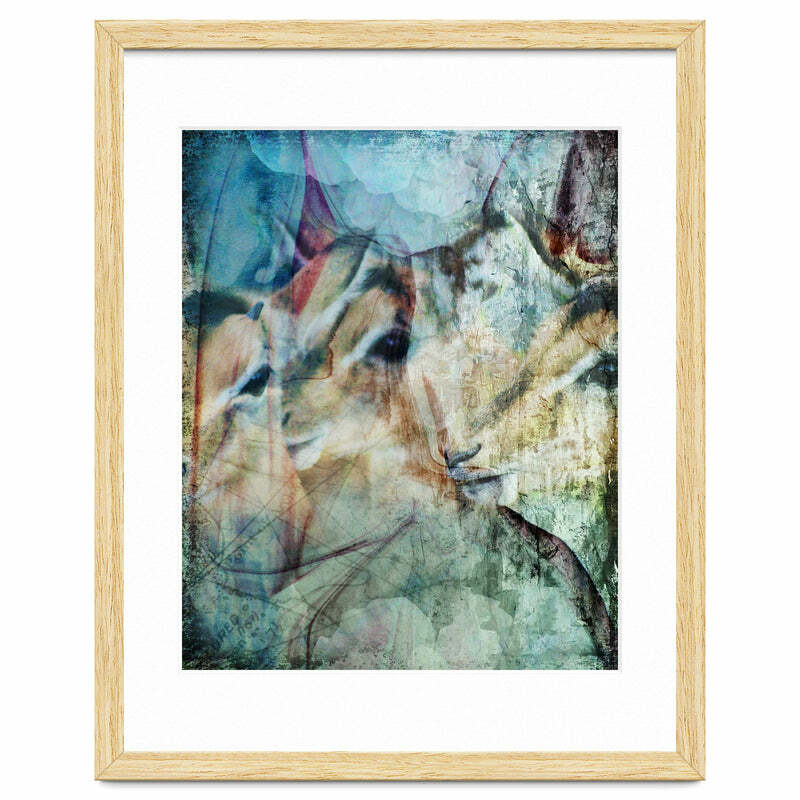 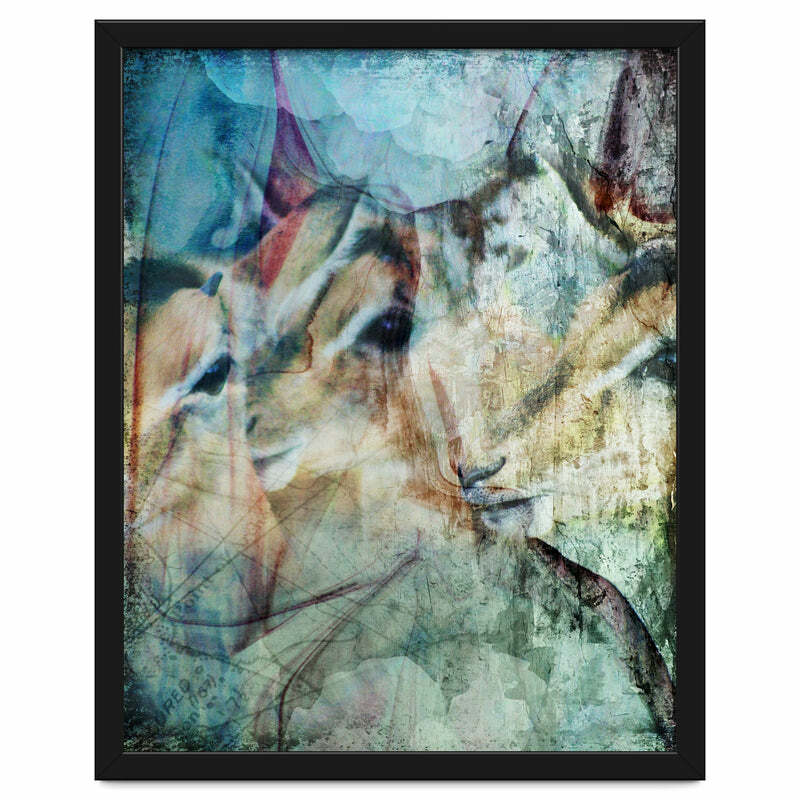 Three Deer is a collage of three young deer blended into a soft watercolor abstract background. Their shapes fade into their surroundings, but their eyes remain true. 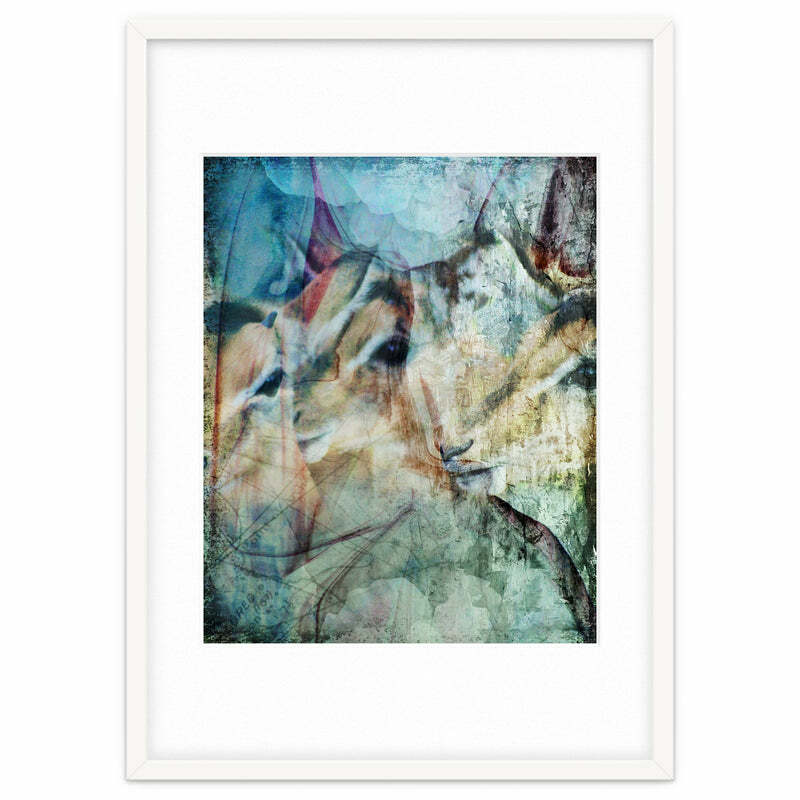 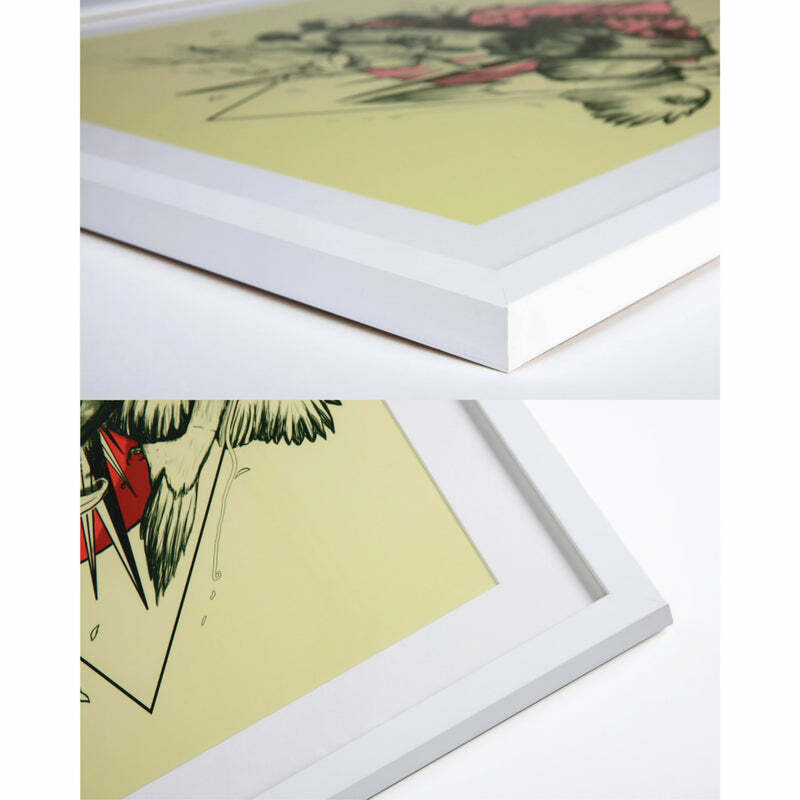 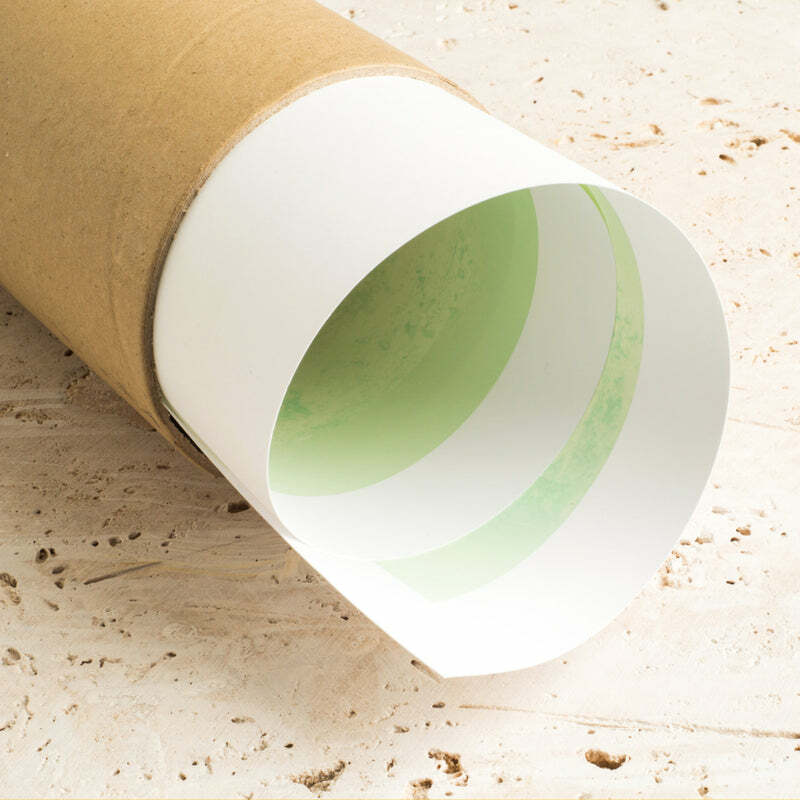 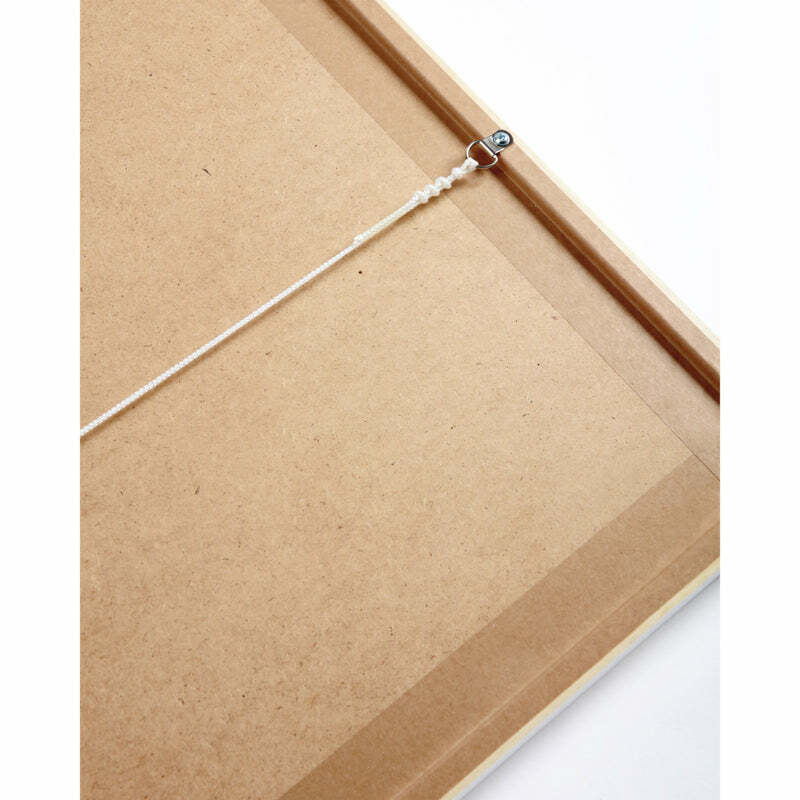 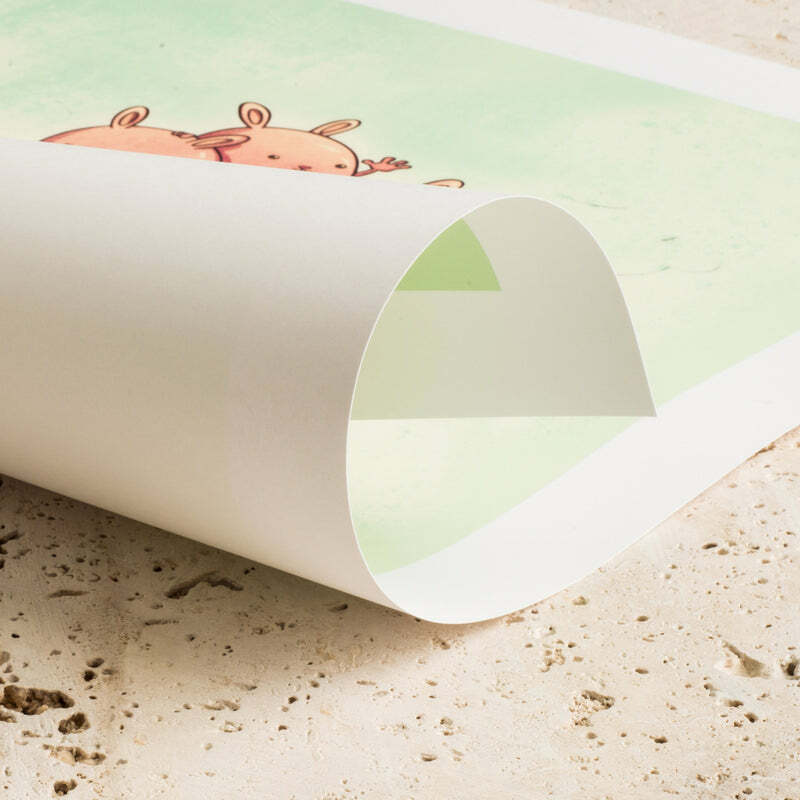 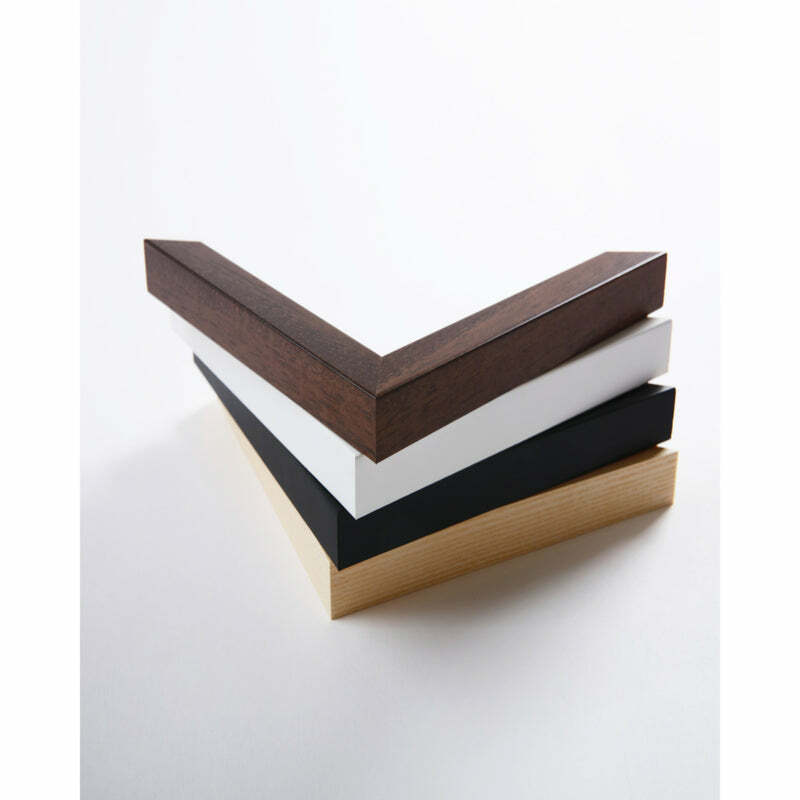 This gentle composition will create a peaceful atmosphere in any room.